President of Ayodhya Sadbhavna Samnvyay Maha Samiti, Amarnath Mishra was on Saturday expelled from Ramjanbhoomi Mandir Nirman Vyas for making remarks against former All India Muslim Personal Law Board (AIMPLB) executive member Moulana Salman Hasni Nadvi. Mishra has earlier claimed that the ousted board member demanded money, position and land for building another Masjid in Ayodhya. Speaking to ANI, he said, "I do not stand any negotiation. What is illegal in what I am doing? Is making Ram Temple illegal? But a person who thinks Bagdadi is a prophet and wants to convert Ayodhya into Mecca and spread Islam here, is it legal?" He added that he has been working for Ram Mandir since last 30 years and will continue to do so. "My role is to help all senior lawyers in this matter, when the proceeding starts in the Supreme Court on March 14. 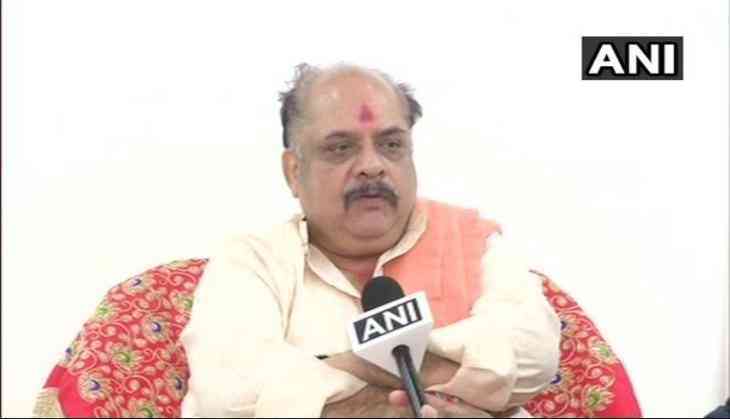 It is a conspiracy towards transforming Ayodhya into Mecca," Mishra asserted. Earlier, Mishra told ANI that he met Nadvi on February 5 and discussed the issue of Babri Masjid-Ram Janambhoomi, after which the latter made his demand. "I met Nadvi on February 5, we discussed the issue of Babri Masjid-Ram Janambhoomi. He asked me to give a written proposal on the issue and I did the same, which was forwarded to everyone. He wanted to make another Masjid like Mecca in Ayodhya, and for that, he asked for 200 acres of land, membership in the Rajya Sabha and Rs 1,000 crore," he claimed. Nadvi rebuffed Mishra's claims, saying that he did not know him at all. Nadvi even accused Mishra of raising such issues to maintain tension between Hindus and Muslims. "Such people do not want a temple or a mosque to be built in Ayodhya. He is a devil and their only work is to create tension in the work of God. They are scared that Hindu and Muslim will be united. He knows that I am the only one who is raising this issue," Nadvi told ANI. "We want to spread a message of peace and prosperity in the nation. I don't even know any Mishra and he is talking about deals," he added. Earlier, AIMPLB removed Nadvi for supporting the construction of the Ram Temple on the land under dispute. On February 9, Nadvi spoke to ANI about his meeting with Art of Living founder Sri Sri Ravi Shankar where he extended support to the construction of Ram temple and said that their priority is to join hearts of people.